A club comprising of thousand medical students to donate blood was inaugurated at the Madras Medical College recently. 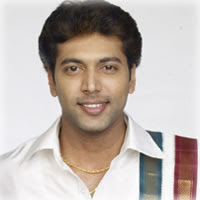 The chief guest at the function was film star Jayam Ravi. The actor lauded the efforts of the students in starting a blood donation club and urged all colleges in Tamil Nadu to begin such clubs. He added that donating blood is a noble cause and it could save a life. According to the star, donating blood is akin to a mother giving birth to a child. To donate blood one need not be related but would suffice if the group matches, he said.